Season 02 Grand Final to Feature Astralis vs. OpTic Gaming in Nationally Televised Championship, Today at 4 p.m. ET on TBS. ELEAGUE season two culminates today with the grand final broadcasting live from Turner Arena on TBS and streaming over the web on Twitch. At 4 pm ET, viewers can watch the eSports competition between Astalis and OpTic Gaming as they battle it out for the top prize money in the$1.1 million gaming tournament. The Sports Techie blog will be watching these skilled gamers perform as teams via the ELEAGUE LIVE Game Command video player technology. This respected league and international event here in Atlanta were created by Turner Sports and WME | IMG. If you have never seen an eSports match before, get ready for fast and furious action, analytics driven strategy and a fun fan experience like you have never witnessed before. Use ELEAGUE LIVE Game Command To Stream Season 2 Grand Final. This 2016 Grand Final match promised to be non-stop eSports action because in the end, there can only one team standing. The ELEAGUE championship features the Danish masters of disasters, Astralis, going up against North America’s finest, OpTic Gaming, in an epic winner take all E-Sport classic in the making. The winners will earn the $400,000 top payout share of the more than one million dollar total purse. Astralis is led by Andreas ‘Xyp9x’ Højsleth, a European dominator in the sqaud’s major upset victory over SK Gaming. OpTic Gaming is a cinderella team of sorts with leadership provided by Peter ‘stanislaw’ Jarguz. OpTic Gaming disposed of FaZe Clan during the semifinals upset win. 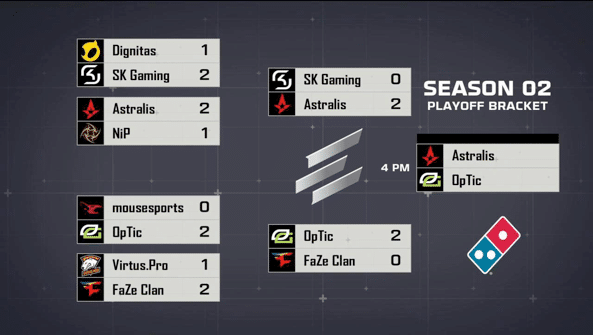 This marks the first team from North America to play in the Semifinals and now the Grand Final, in ELEAGUE history. 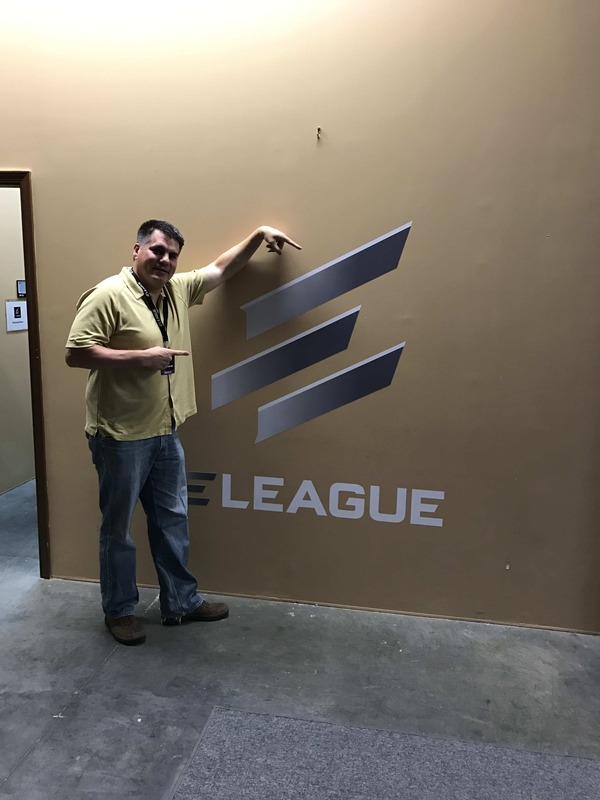 CS:Go eSports Final Streaming On ELEAGUE LIVE Game Command, Twitch And TBS – SportsTechie blog. Stream the CS:Go finals using the observer feed at Twitch available at twitch.tv/eleaguetv. Fans can use their use computers, smartphones and tablets with ELEAGUE LIVE Game Command to enable a truly one-of-a-kind, customizable mosaic video player driven perspective at live.eleague.com. Create your own custom interface from the thousands of options ready to provide unique CS:Go digital experiences. Select from POV cam angles of individual players up to four at once time, or use a team-centric screen showcasing exactly what the squad made up of five players are seeing themselves on their screens. The observer feed is another excellent streaming option as is the game map offered in a large sized format. The Turner ELEAGUE eSports asset has a live studio show scheduled to discuss the creation of the inaugural ELEAGUE Major. Sports Techie, it is game on the the United States for eSports supremacy of the $23 billion industry not only for the players but for cities as well. Will Atlanta, New York or Los Angeles become the main hub for eSports? I have been a part of the ELEAGUE fan experience in person at the OverWatch Open and it was awesome. That is me, @THESportsTechie in the above picture over 30 pounds ago. I enjoy covering Tuner Sports as they take a leadership role, develop innovative sports tech and partner with proactive sponsors with the world’s fastest emerging sport. Before each Friday night fight at Turner Arena, fans received complimentary tickets, food and beverage before the nights matchup, During these open to the public, fan-driven sessions, gaming fans were given the free opportunity to meet their favorite gamers, breakdown strategies with expert eSports analysts, and learn more about CS:Go from shout casters. Turner Studios is impressive in itself and their ELEAGUE setup is designed to be state of the art. Who will be the season two ELEAGUE champs? Only skill, teamwork and the best gaming technologies will make it so for one of the Grand Final teams. Will it be Europe or the U.S. emerging as victorious? Find out in just a few hours over your digital devices and on television because this is live sports in the 21st century in real-time.